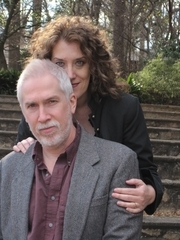 Susan Griffith w/ her husband, Clay Griffith. This page covers the author of The Greyfriar. For other authors named Susan Griffith, see the disambiguation page. Susan Griffith discusses The Greyfriar: Vampire Empire (Book 1). "Susan Griffith" is composed of at least 2 distinct authors, divided by their works. You can edit the division. Susan Griffith is composed of 2 names. You can examine and separate out names.